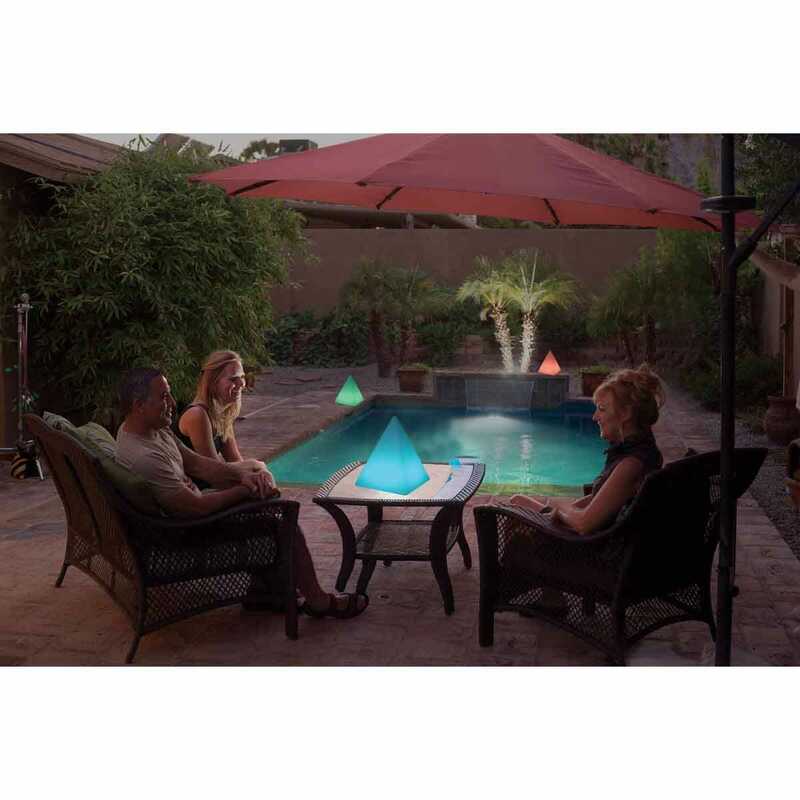 More than a solar light, this pyramid is an illuminated entertainment center. 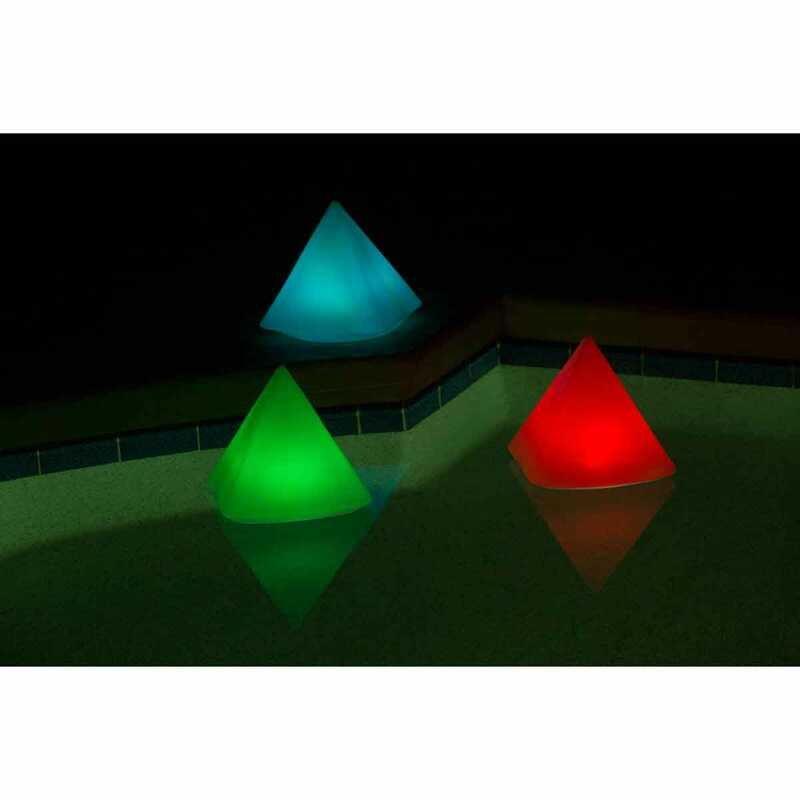 Ultra-bright LED lights shine in five color modes: classic white, red, blue, green, or all colors changing automatically. It’s a light show in your pool. Waterproof and shatter-resistant, globe is weighted to remain steady in winds up to 35 mph. Includes remote control. 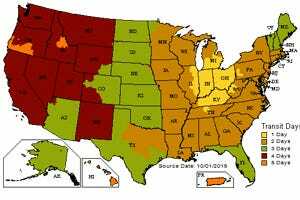 UV resistant coating. Measures 10 3/4”w x 10 3/4l x 10”h.